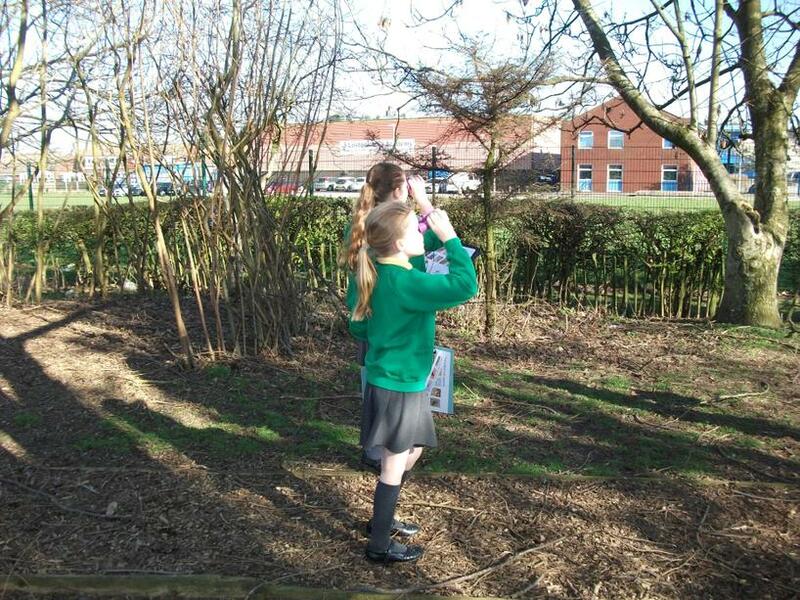 Key stage 2 school councillors were involved in a forest lesson in our outdoor classroom. 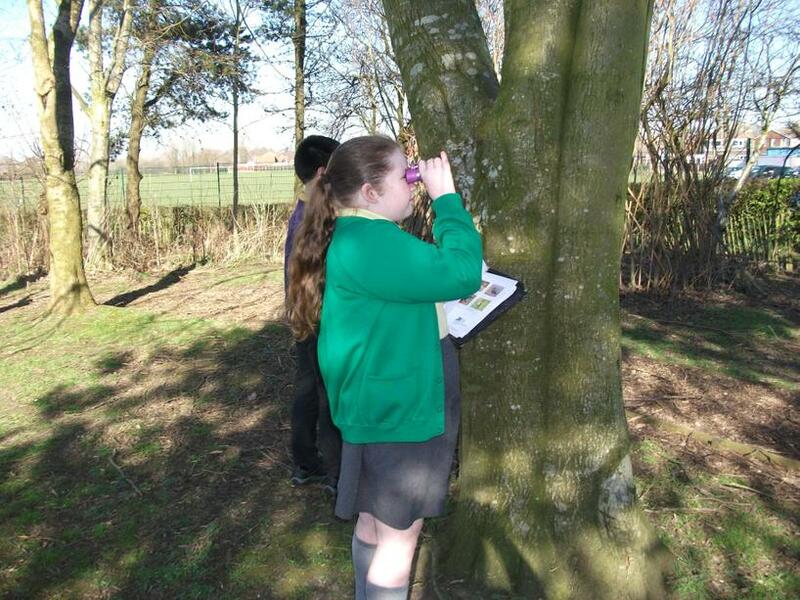 Everyone had a great time making bird boxes, hunting and identifying mini beasts, using binoculars to spot different bird species and making bird feeders to hang on our trees. We felt very blessed because the sunshine came out which made it even more fun! 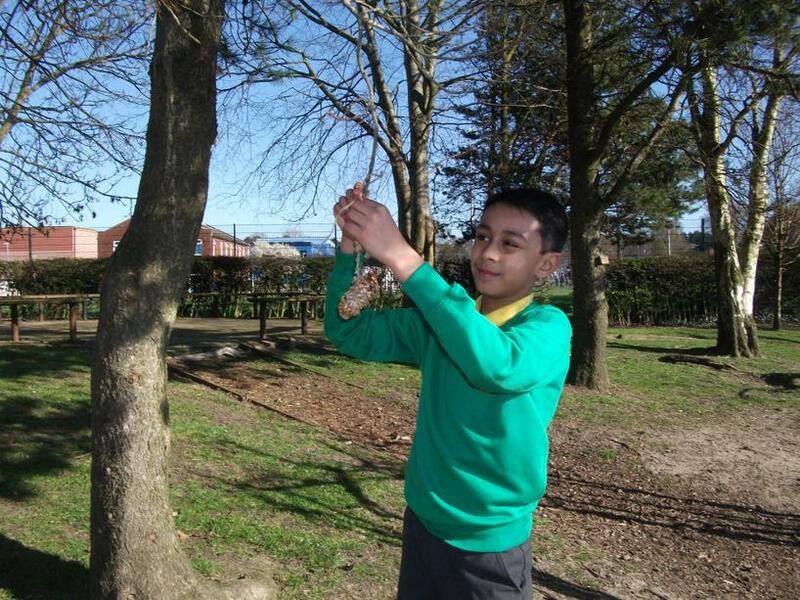 Keep a look out for our bird boxes and bird feeders in our outdoor classroom! 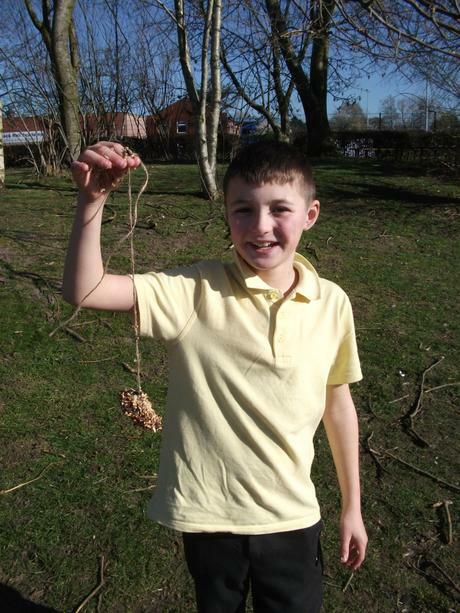 Welcome to our School Council Blog! Here you will find out about all the things we have been working on! If there is anything you would like to suggest then please see your class school Councillor who will share it at the school council meetings. Two Year Six school councilors went to Cop Lane Primary School. 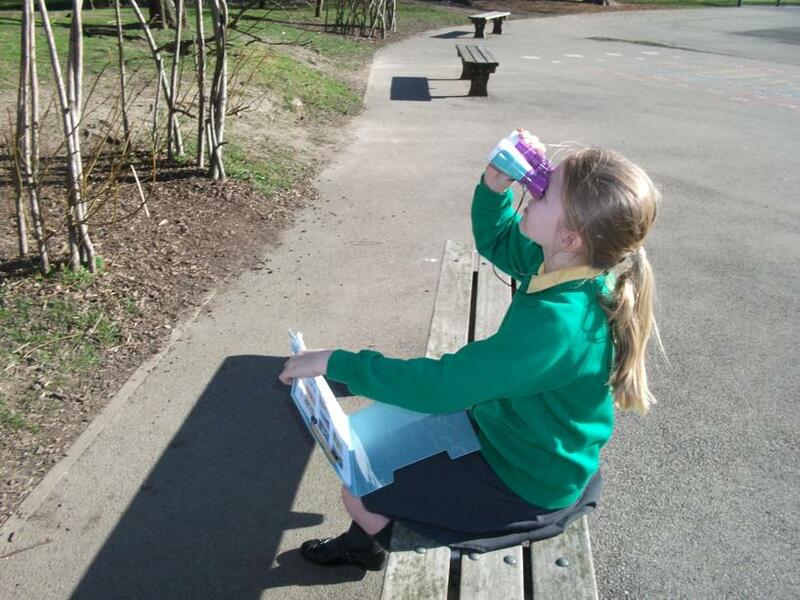 We looked around the school to see the different activities they provided for lunch times and break times. 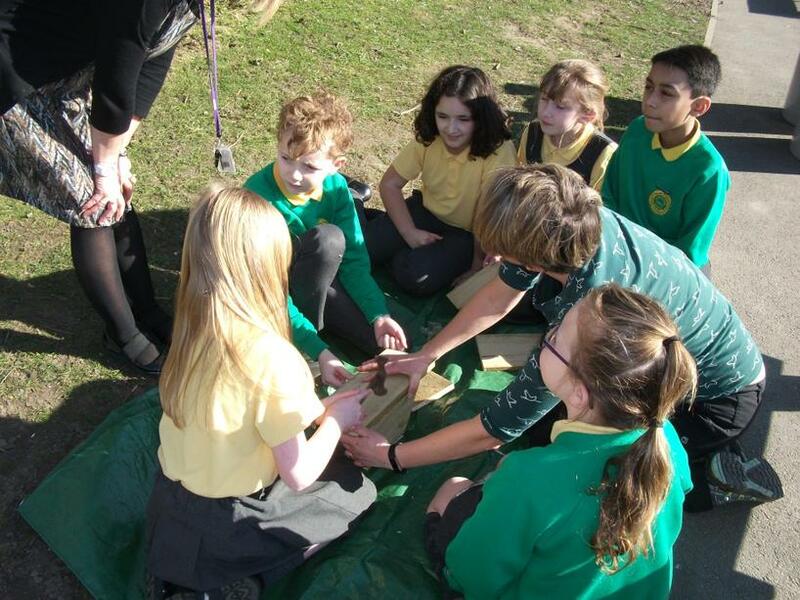 We also shared our ideas with the school about what we do and what we would like to improve. 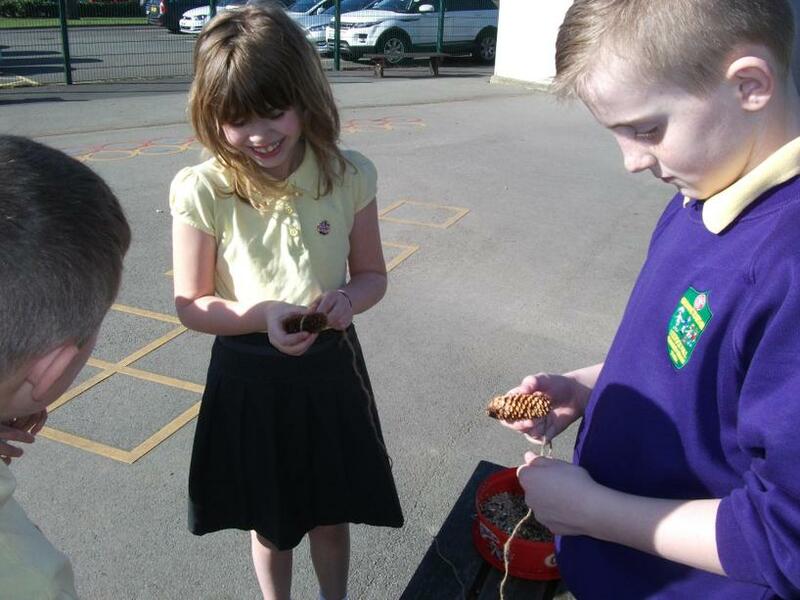 We got many ideas from other schools like an 'Oasis' (a games room), an outdoor shelter (for when it rains), new signs for around the playground and an outdoor climbing frame. We plan on making some of these changes and discussing them with teachers.